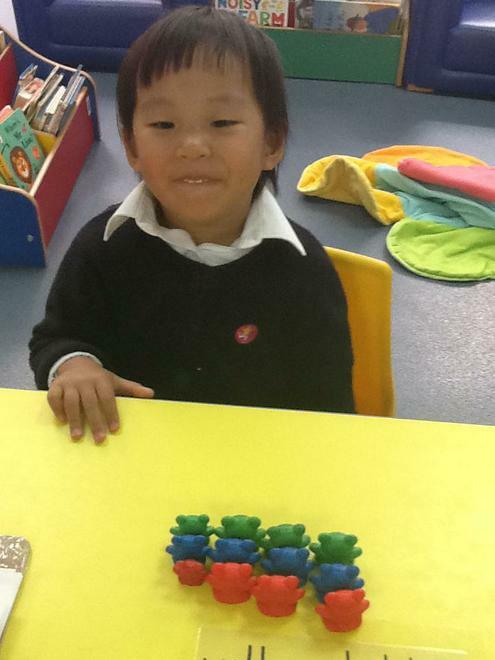 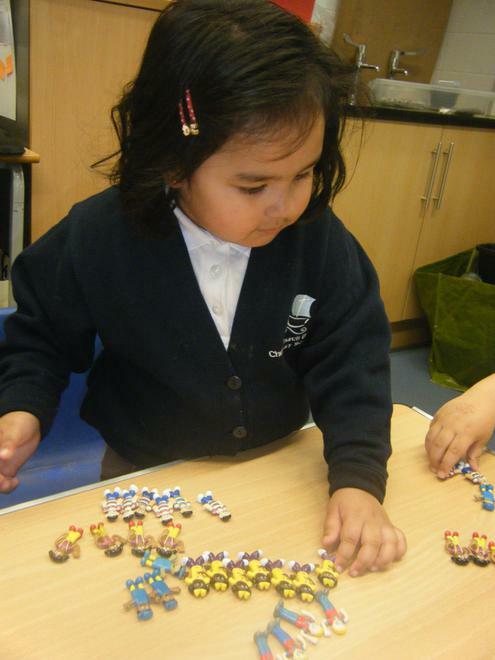 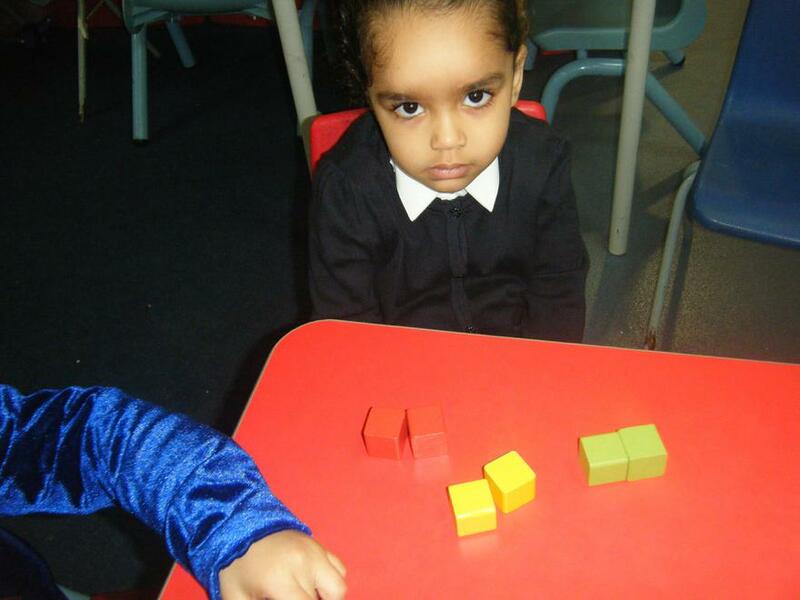 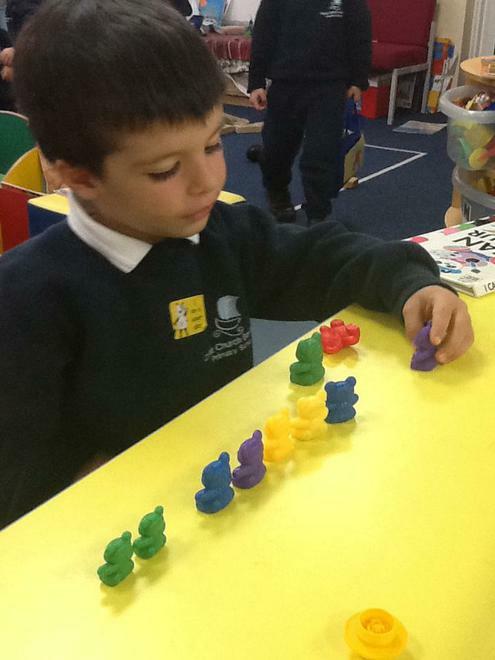 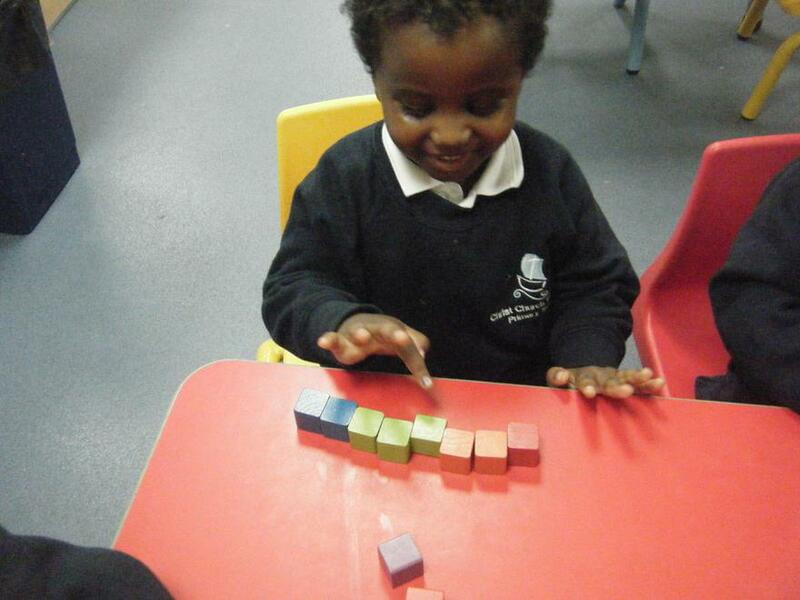 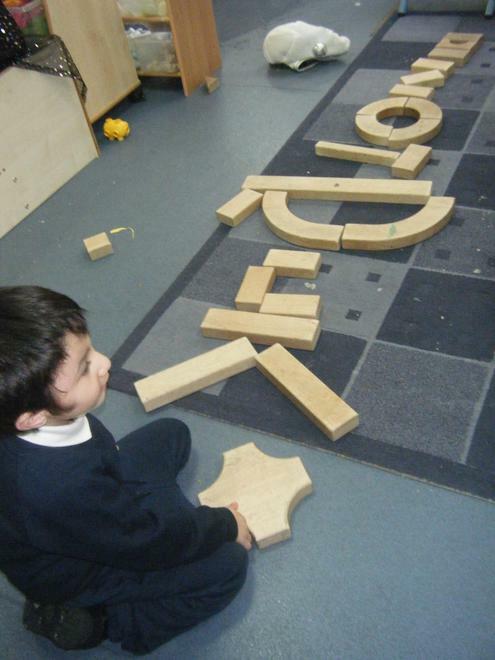 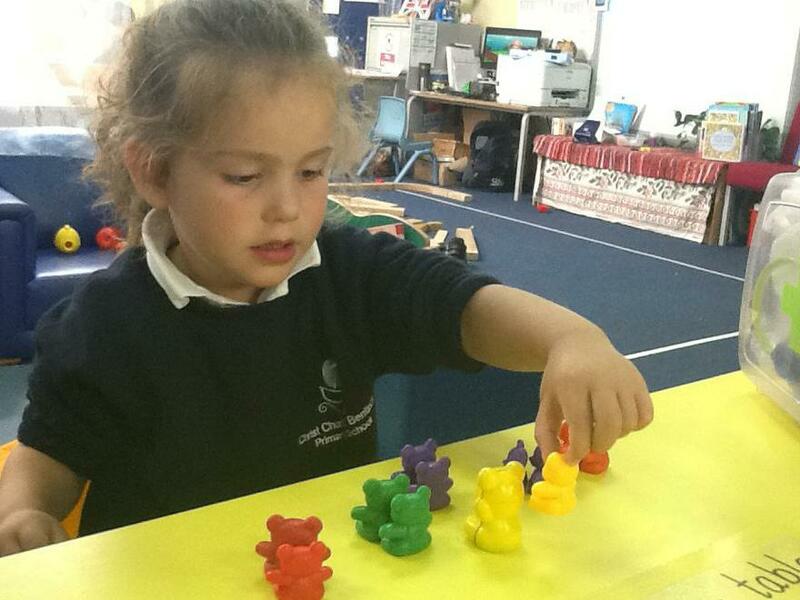 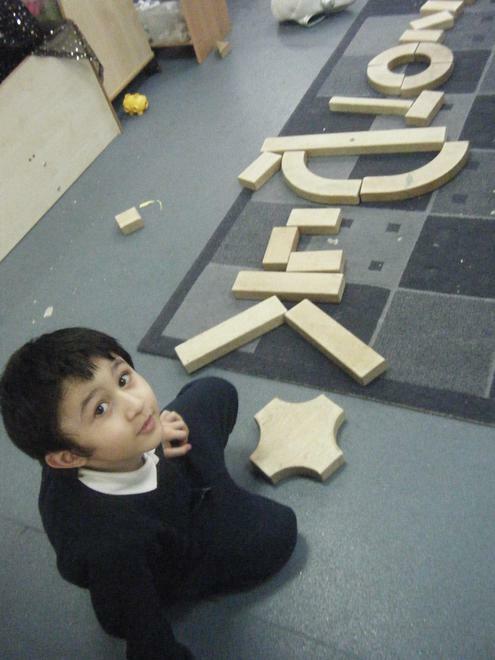 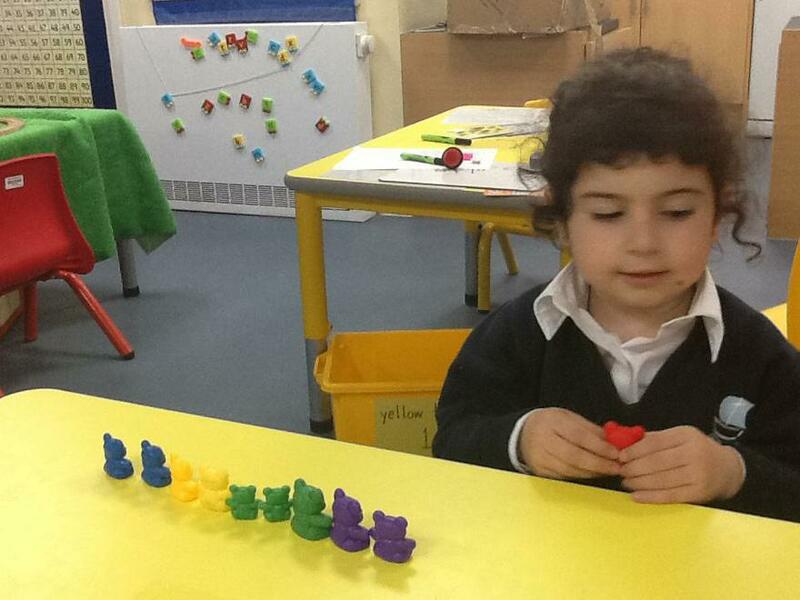 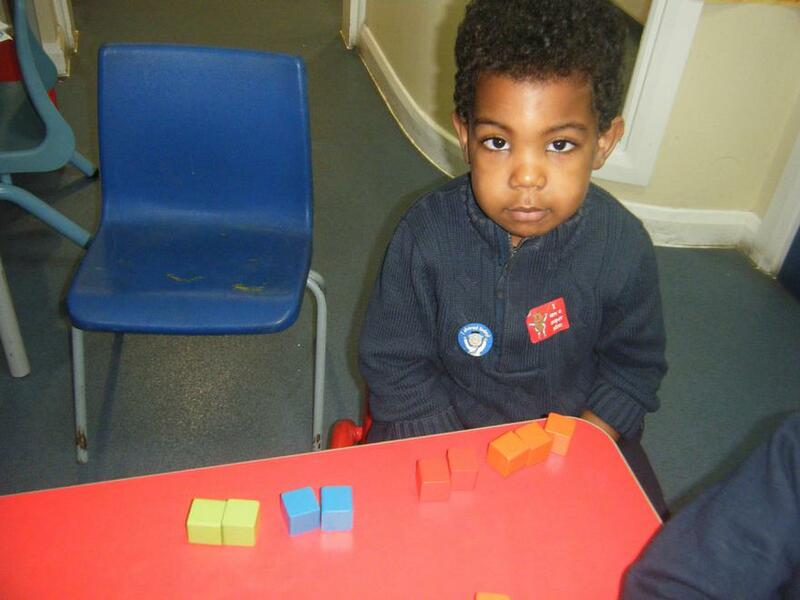 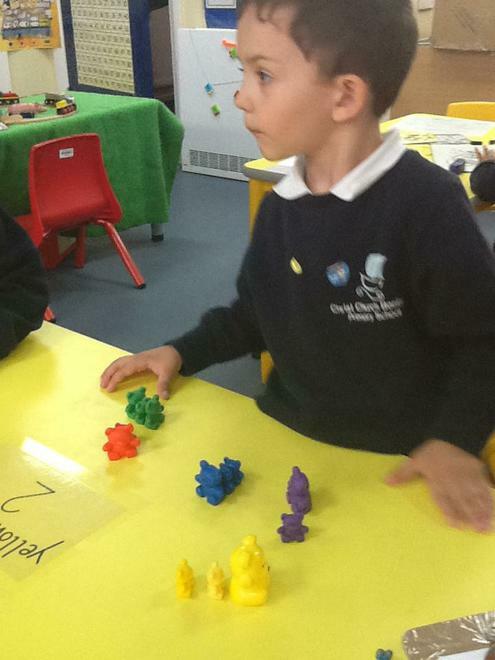 O uses the community blocks to form letters. 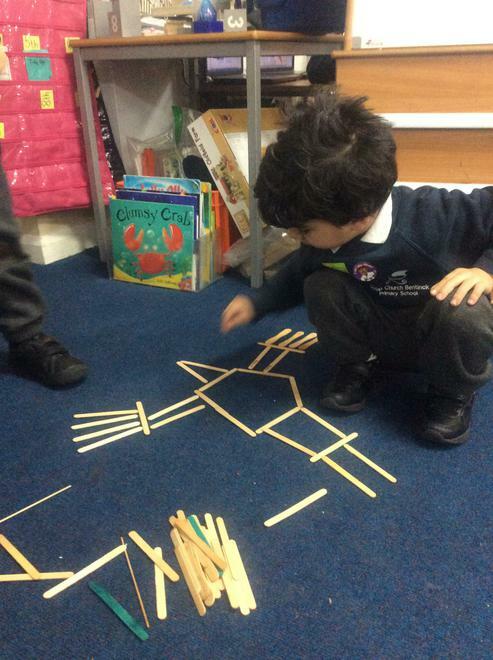 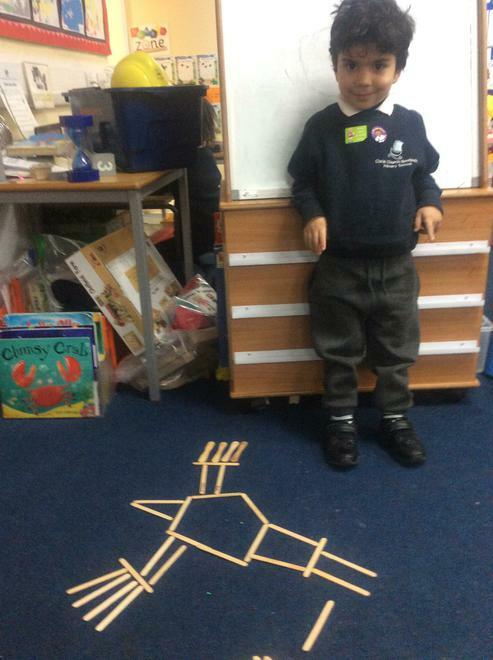 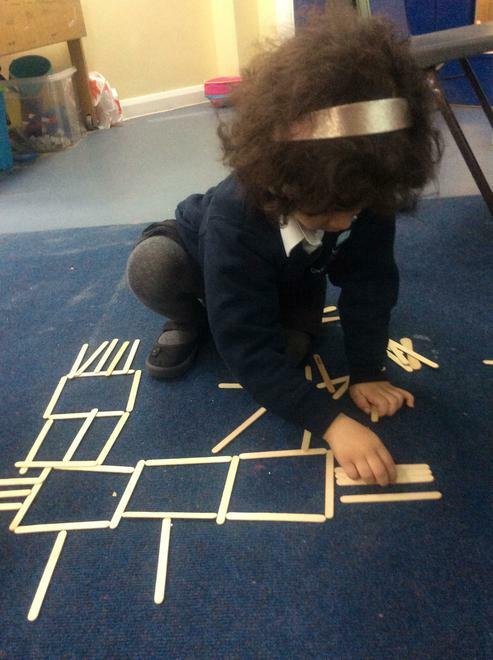 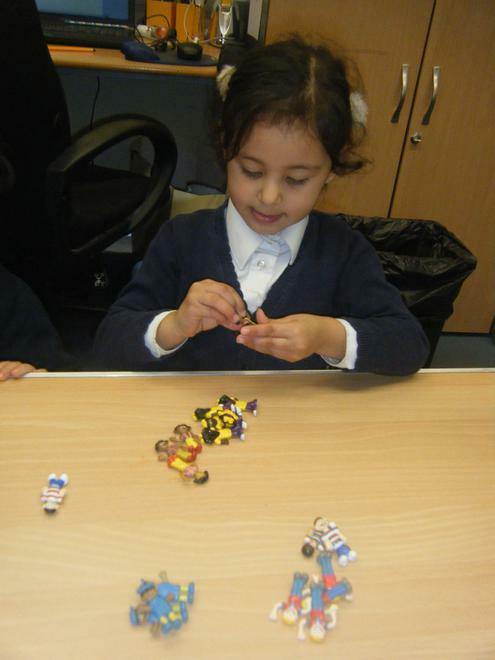 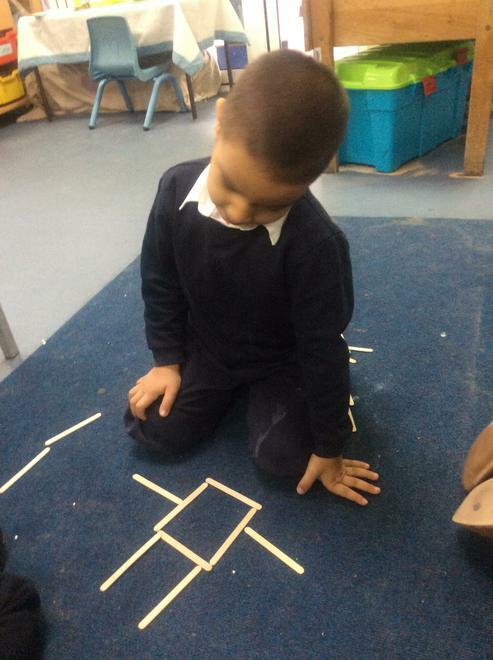 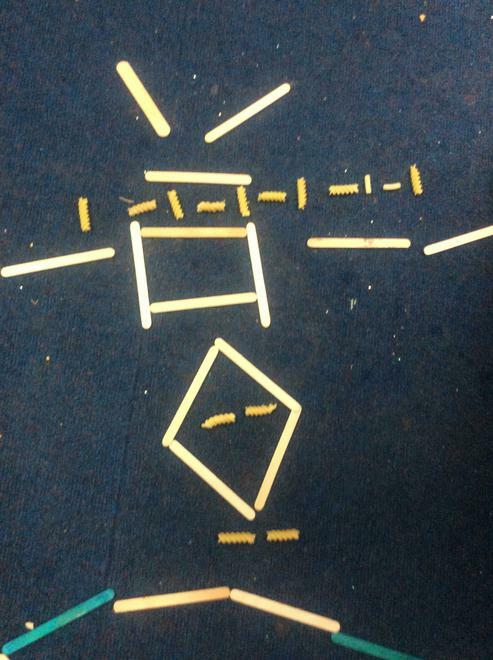 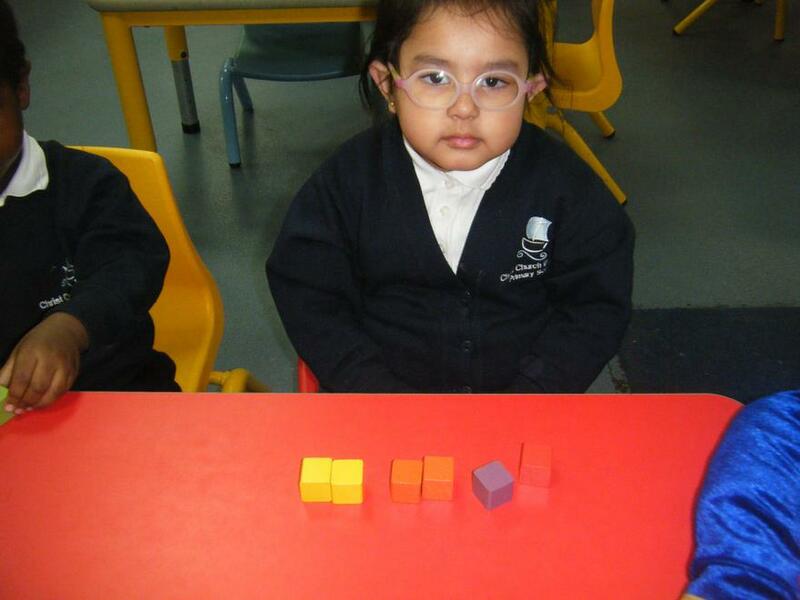 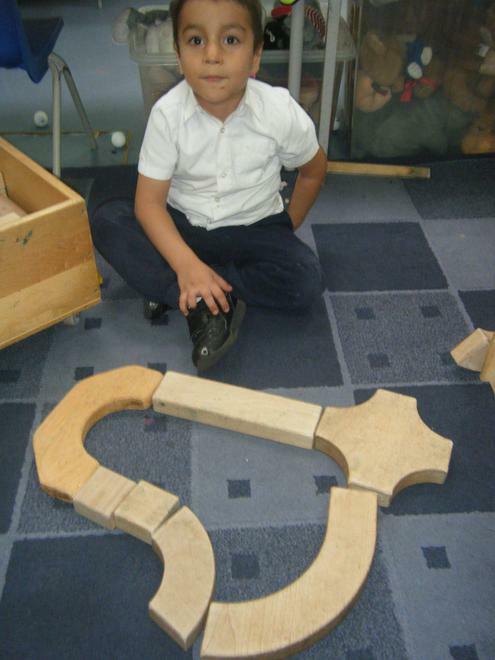 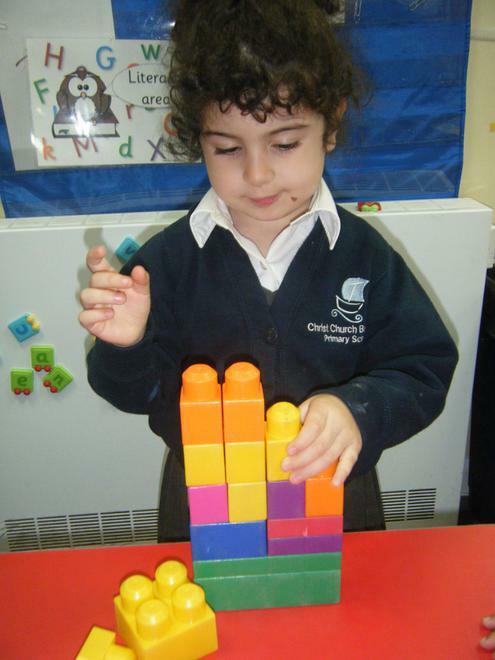 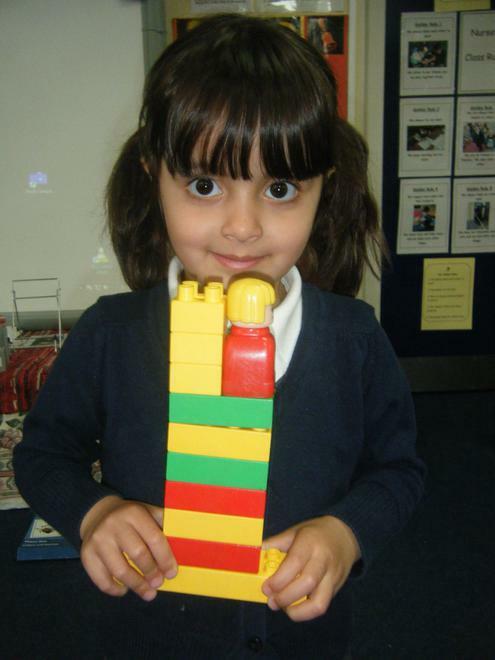 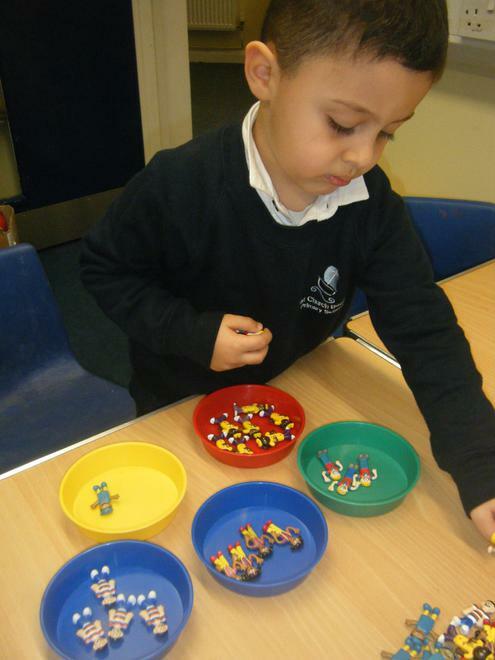 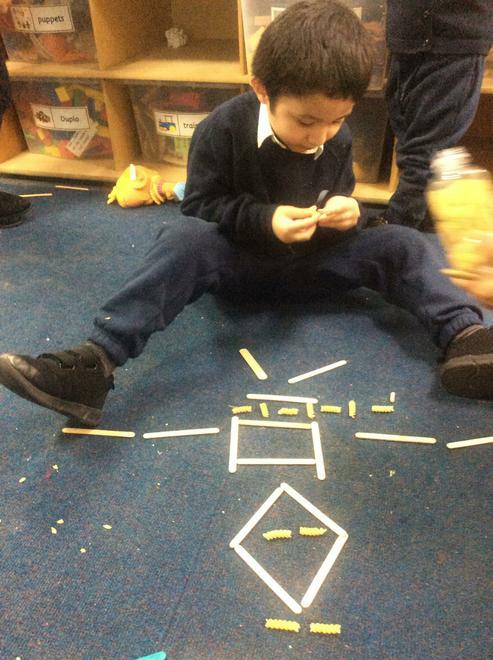 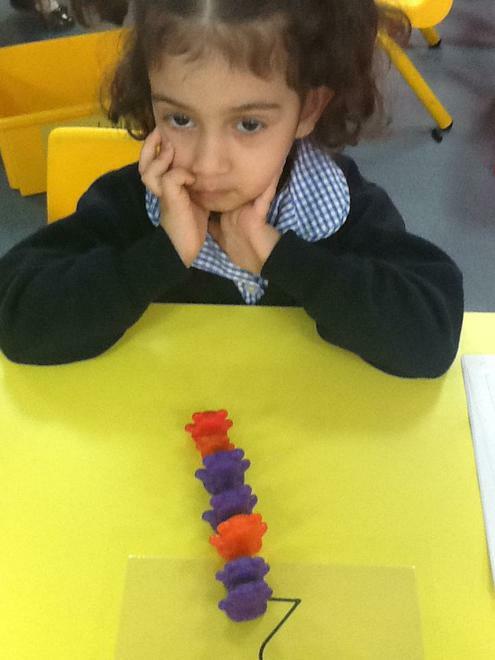 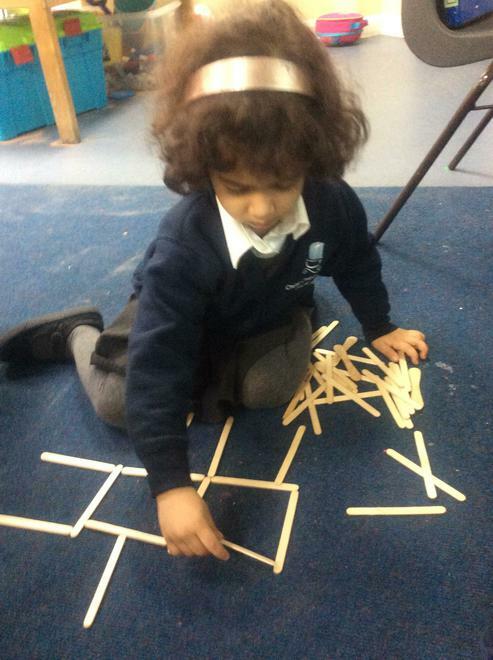 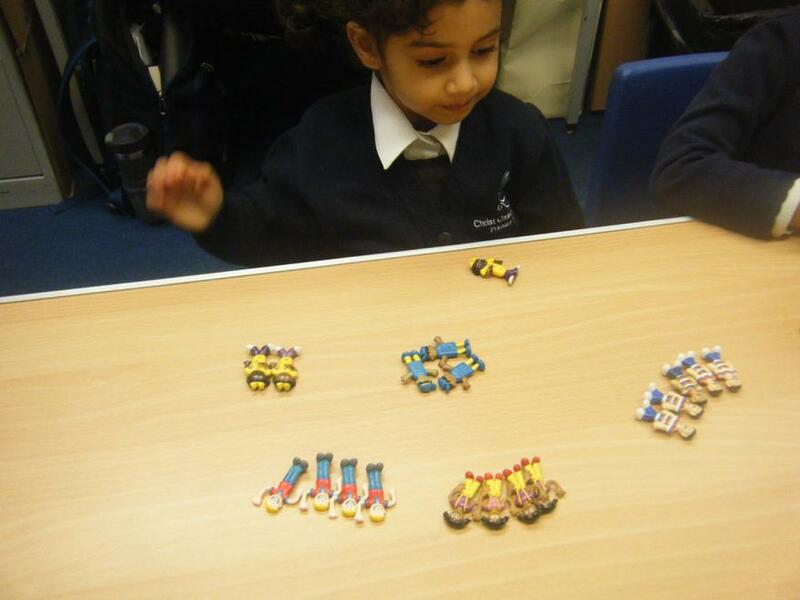 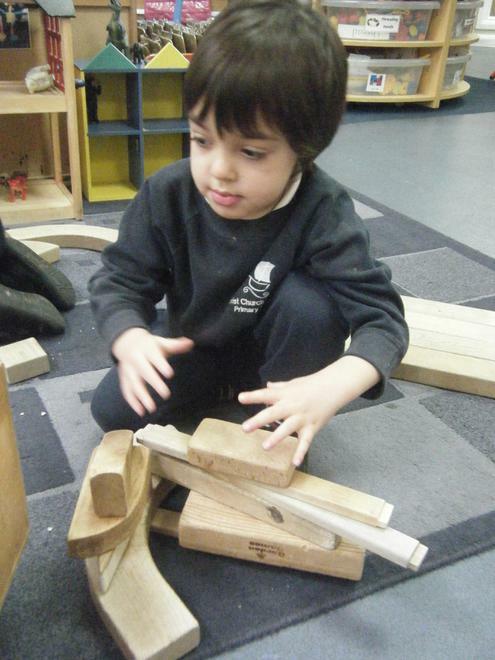 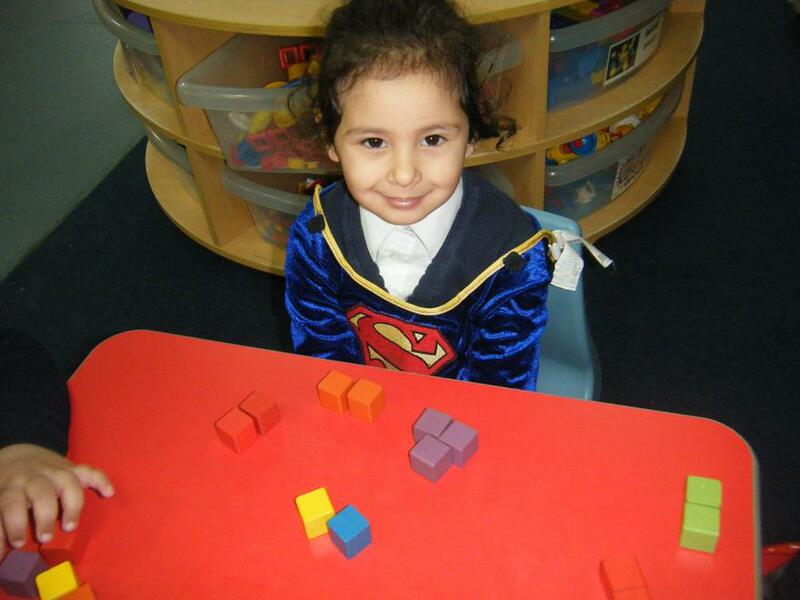 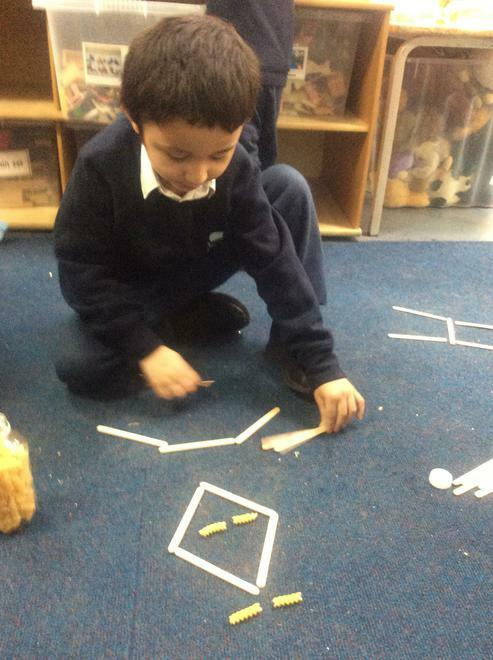 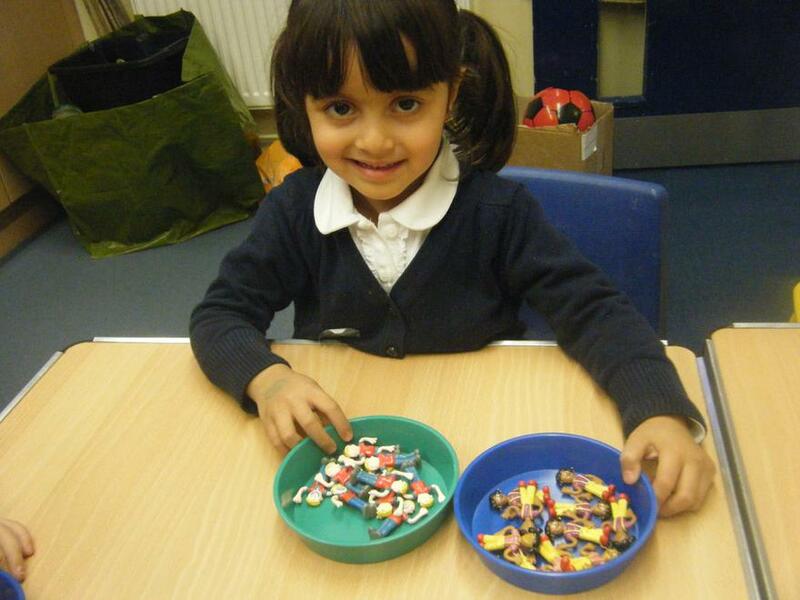 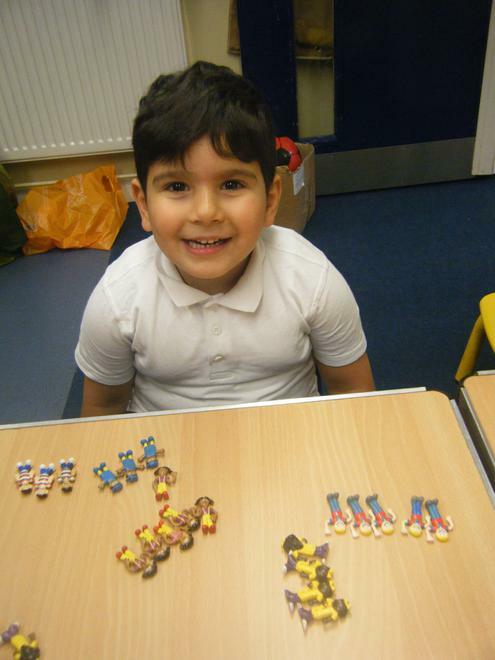 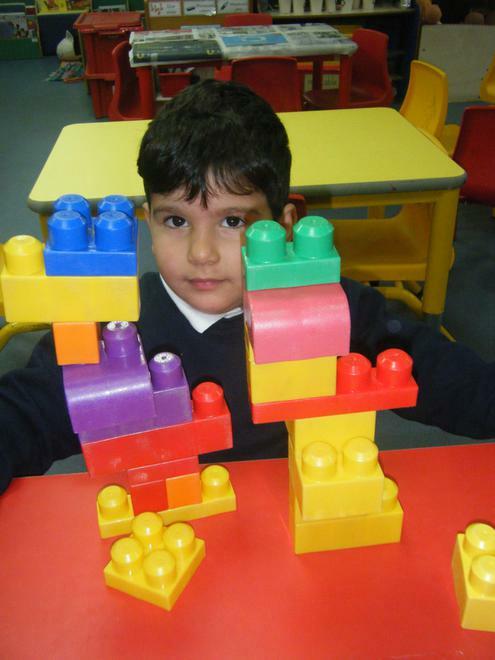 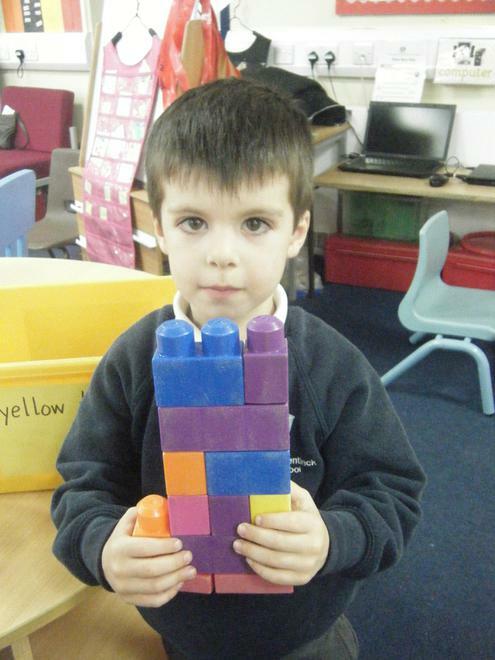 We make shapes using the lollipop sticks. 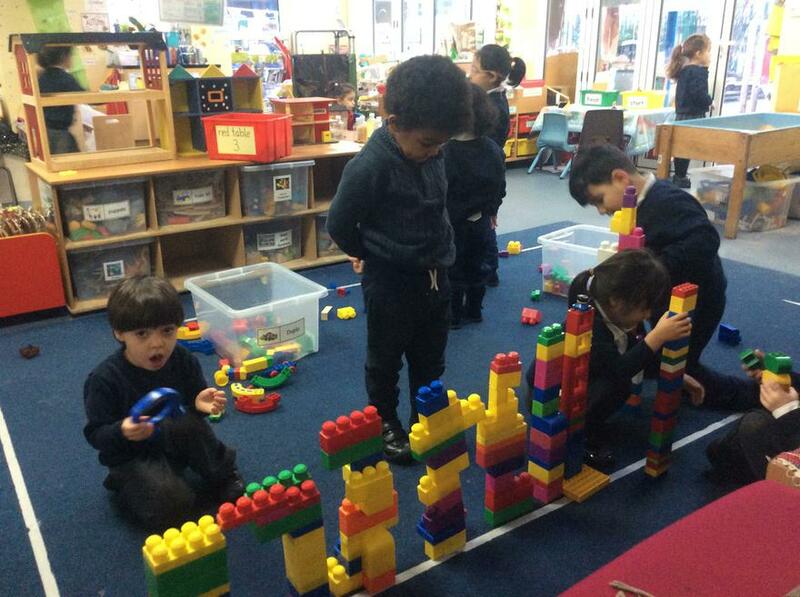 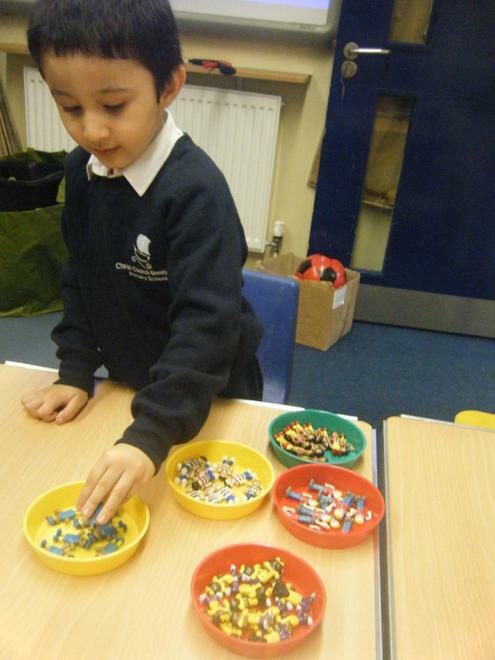 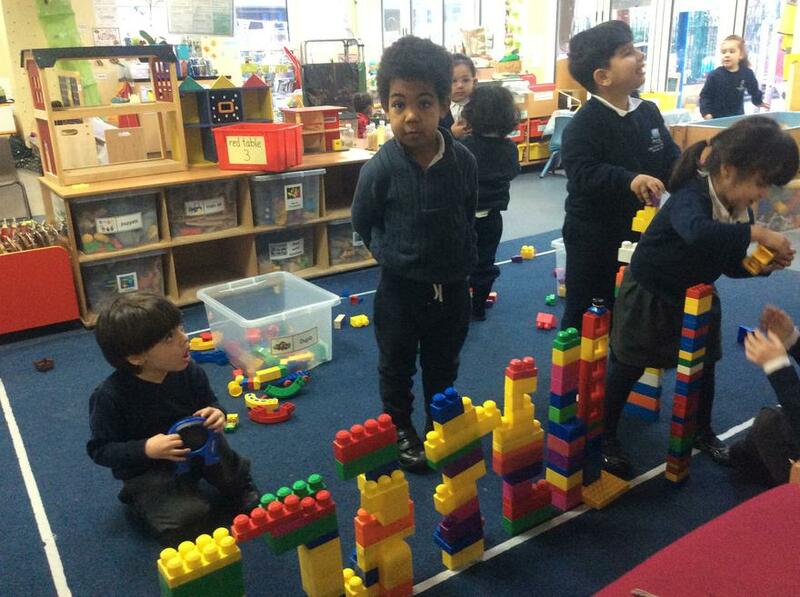 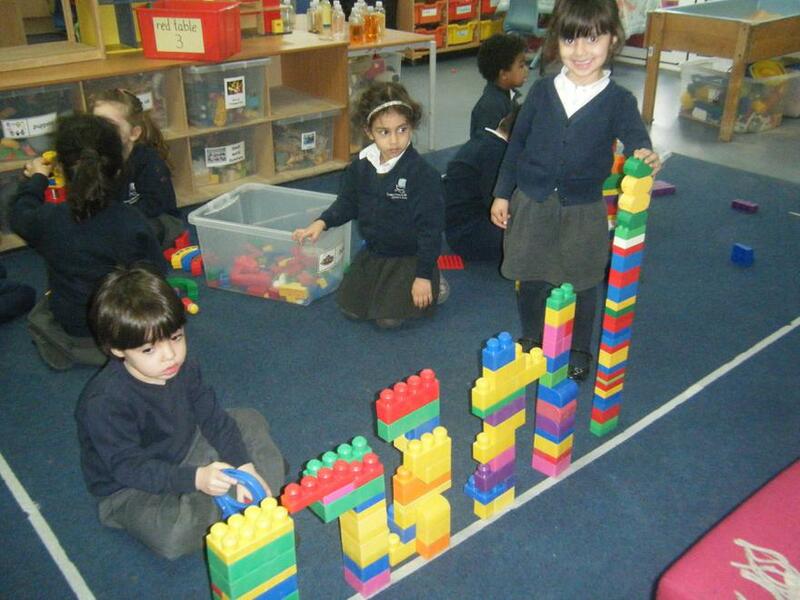 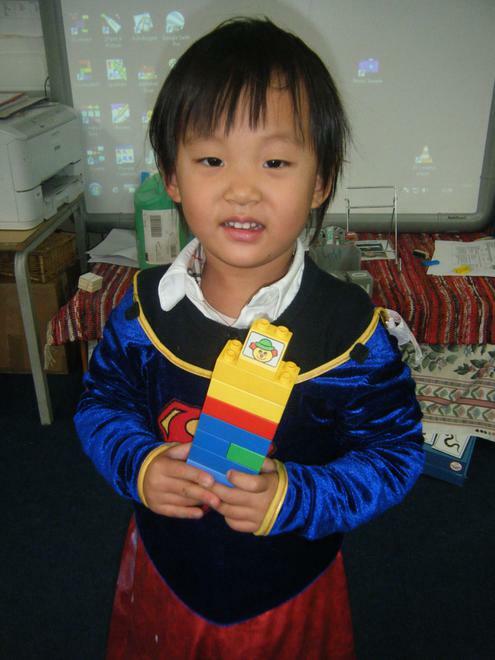 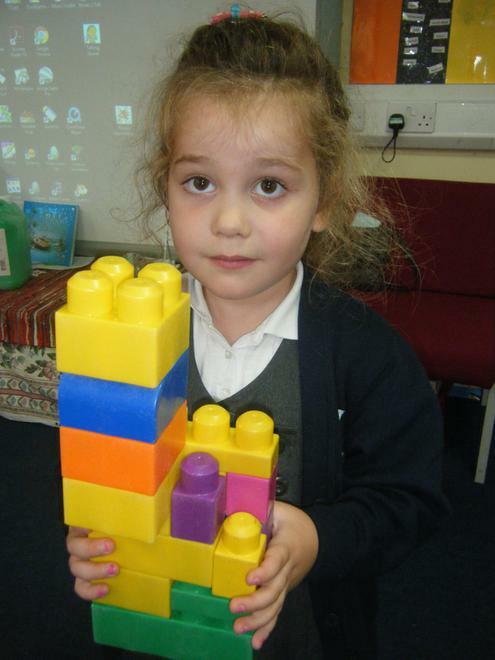 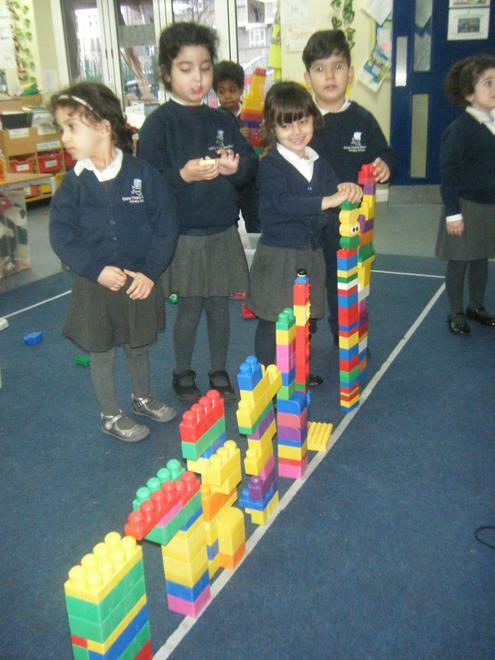 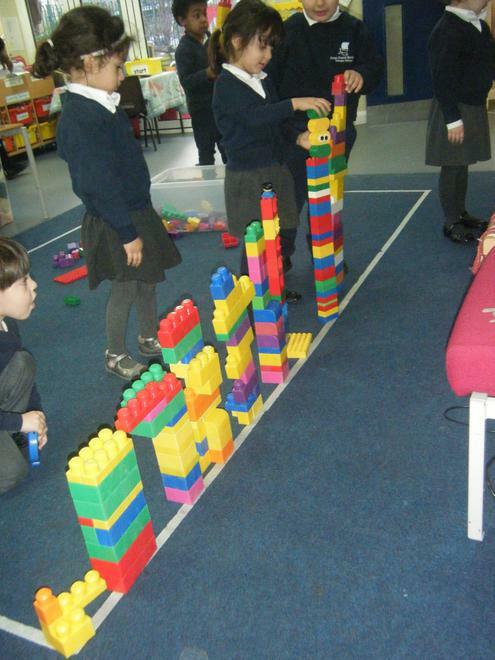 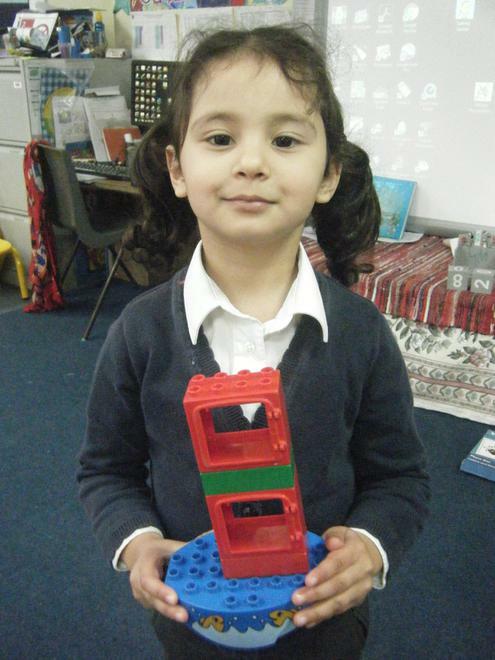 We are making a temple. 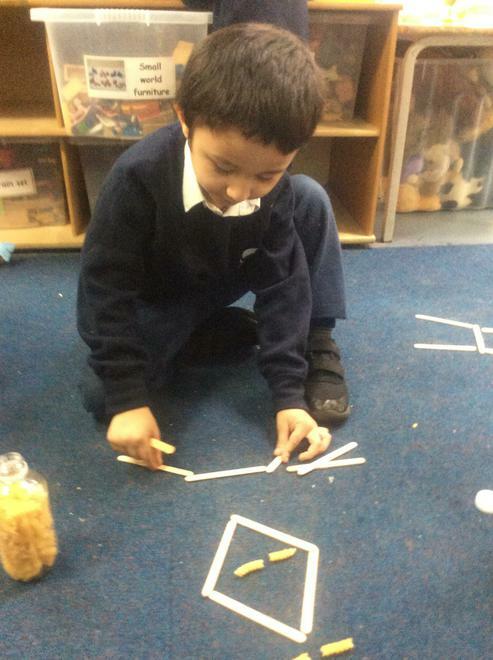 We can put the same things together.